Make it a fun day with an awesome purchase like this Sublime Breeze Green Long Tunic with Boatneck; a perfect piece to kill those style needs of the season. 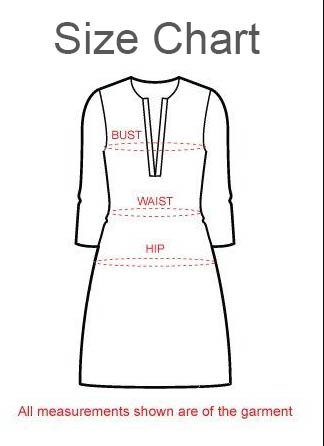 This modern ethnic wear option is modest with a boat neck and super short sleeves. The print pattern on the tunic is just some vertical and horizontal lines laced helter skelter that make it beautiful. This poly crepe tunic promises utmost comfort in this season and hence is a must buy.